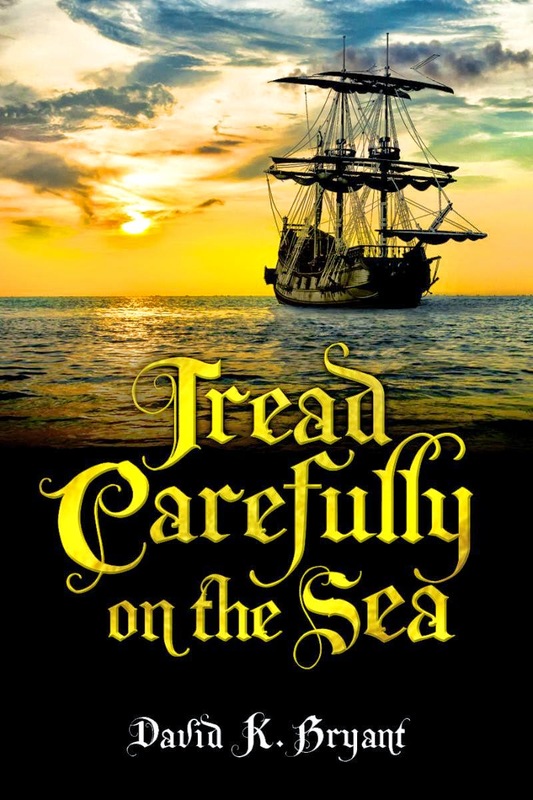 Captain Flint sings that ditty in my book “Tread Carefully on the Sea”. And, thanks to author Robert Louis Stevenson, the fictional Captain Flint’s notoriety (rather than fame) has indeed been kept alive through the centuries. Yet the poor buccaneer got no chance in Stevenson’s novel Treasure Island to take part in the drama. All the many references to him were retrospective as Flint was dead by the time that great adventure yarn began. Was that fair to the man who buried the Treasure on the Island? Ironically, while Stevenson gives us no description of Treasure Island’s boy narrator Jim Hawkins (not even his age), we hear a lot about the deceased Flint. Well let me correct you, Morgan. Those were not his last words. Captain Flint speaks loud and clear in my book, “Tread Carefully on the Sea”. How did Long John Silver lose his leg and Blind Pew his “deadlights” in the same broadside? There’s some explanation in Treasure Island about Silver’s mishap but remember that Silver was an inveterate liar and what he reveals to a young mutineer about his past just does not stand up to scrutiny of the dates and events mentioned. Who were the fifteen men on a dead man’s chest (in the recurring Treasure Island song Yo Ho Ho and a Bottle of Rum)? Maddeningly, there’s a paucity of dates in Treasure Island. In the very first sentence, the first person storyteller Jim Hawkins says: “I take up my pen in the year of grace 17–.” Why, oh why, esteemed Mr. Stevenson, did you not give us the full year? Flint’s treasure map is more instructive. The margins contain the information that the map was drawn in August 1750 and handed to Flint’s first mate Billy Bones on July 20th, 1754. So, armed with Stevenson’s statements, I set about answering the questions, working around the dates and, most importantly, writing the biography for which Captain Flint had waited more than 250 years. To be true to Stevenson’s references, Flint had to be bloodthirsty, an alcoholic, and he died from ill health in a tavern in Savannah. He also had to be cunning and resourceful. He took six men ashore with him and overcame the lot of them. To me this added up to more than your average roughneck pirate. So I built for him a personality as an educated, witty sophisticate with intimidating black eyes and a number of complexities. In my story he kills two men with no compunction at all, and he’s happier in the company of those he takes prisoner than that of his own crew. He trusts no one except those whose loyalty he can be totally sure of – and only Billy Bones and Israel Hands meet that criterion. The death in Savannah was a real challenge. From Stevenson’s book, Flint died in an alcoholic haze. That was too mundane for my purposes so I had him as a long-sufferer, and in denial, of consumption, but I added the biggest twist of my story to the death scene. Cindy Vallar was kind enough to say it was “inventive and unusual”. So rest in peace Captain Flint. You may not be more famous than Jonah’s Whale but history has now told your tale. ReadersGazette.Com is a participant in the Amazon Services LLC Associates Program, an affiliate advertising program designed to provide a means for sites to earn advertising fees by advertising and linking to amazon.com. The crisis was over. Those fifteen pirates were on their way to another story. It’s one you should read if you enjoy great adventures. From Southern Writers magazine, Jan-Feb 2015 edition. Captain Flint, one of the most successful buccaneers of the colonial era, comes out of retirement to commit one last crime more daring than ever: kidnap the daughter of the Governor of Jamaica. This leads to a desperate chase across the Caribbean and the horrors of 18th Century life at sea for Jessica and those who try to help her. 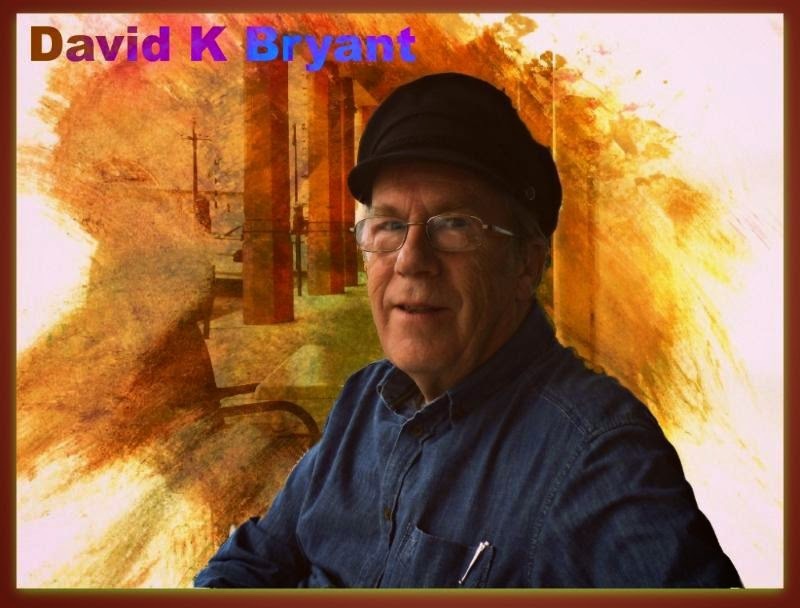 LOCAL man, David K Bryant, has released his first full-length novel, titled ‘Tread Carefully on the Sea’ at the age of 68. David’s story takes the reader into the world of Captain Flint and the crew of his pirate ship, the Walrus. Flint abducts the Governor of Jamaica’s adopted daughter, Jessica, but the ransom handover is botched. Jessica and her Royal Navy paramour, Captain Michael Townsend, are then taken on a drama-packed voyage across the Caribbean. There is disease, heartbreak, bare-knuckles boxing and all-out adventure while Flint risks his life to avert a possible mutiny and the hangman. Bryant says the characters’ believability is what raises the bar of this tale. David K Bryant is no stranger to adventure in his own life, having worked as both a journalist on a daily newspaper and in high-level public relations positions for several organisations. He twice worked on behalf of late prime minister Margaret Thatcher: first by promoting a major piece of legislation for her government and then handling the police-media communication following the bombing of the Grand Hotel, Brighton, during the Conservative Party conference in 1984. David and his wife Stephanie have been married for 40 years. ‘Tread Carefully on the Sea’ is available as an ebook or paperback.